Death and Beauty in the High Desert. A lemon chrome butterfly was fluttering alongside the green river. He was nearly as large as my hand. 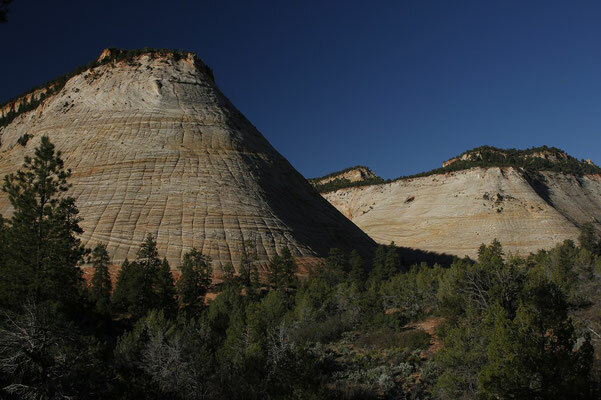 Green trees and red sandstone mountains were framing the scenery. All I could hear was the wind, the water and a screaming hawk. I’m joking? No, I’m not. This is a place you have to see before you will believe it. A place you can’t imagine. 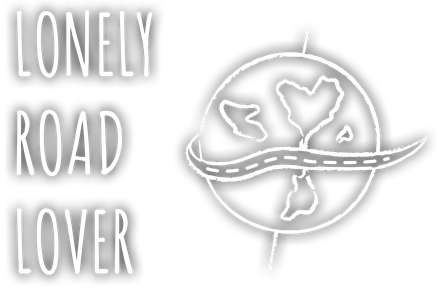 But there’s also endless emptiness. Desert. Heat and dust. Everything that takes away your vitality. This is a story about my fight against the High Desert, the discovery of nature’s soul and a bunch of days that brought me to my physical and mental limits. I left Holbrook, Arizona. The last “real” city before my trip into the wild and rural back country of Utah and Arizona. 12 days ahead in America’s National Parks. I started off to Canyon de Chelly. 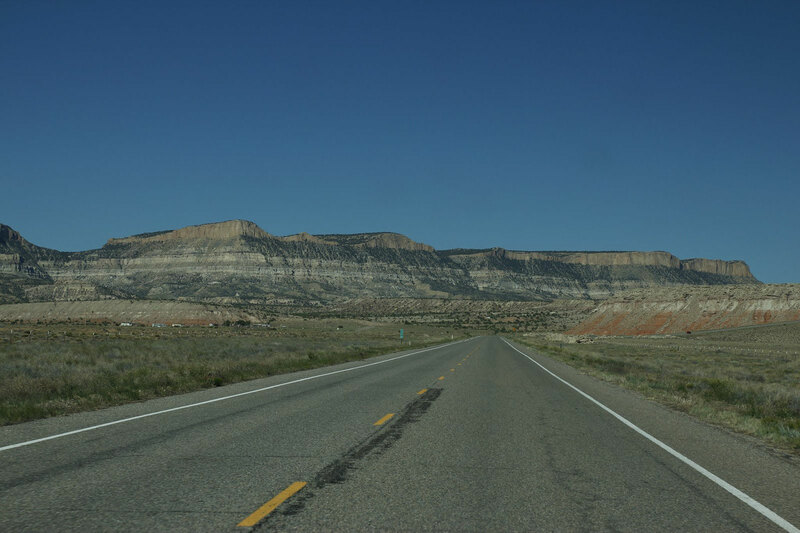 I was thinking about red rocks, beautiful hoodoos and deep valleys. But that was only half the truth of what that trip was about. I was driving and driving. And driving. Still driving. Just a few other cars are out here in the middle of nowhere. Tiny as ants. Maybe a rock would fall on them. Nobody would mind that out here. Heat was glimmering on the asphalt. A chipmunk took a look at me from the roadside. My eyes widened. Was it real? Was the road real? Hell, I had to concentrate on driving! 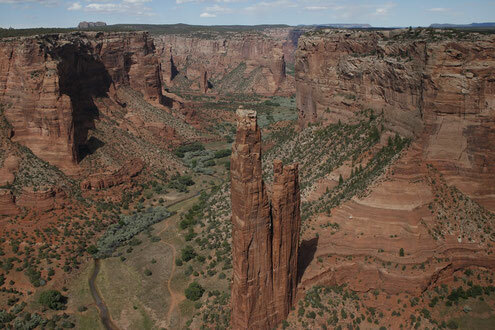 I planned to sleep in my car at Canyon de Chelly. But I was so done with driving and I felt extremely depressed by the harsh and empty landscape. Yeah, beautiful. But waste. It all went to my soul. There was a crack in my spirit. So I rented an expensive lodge just to sort the things out. 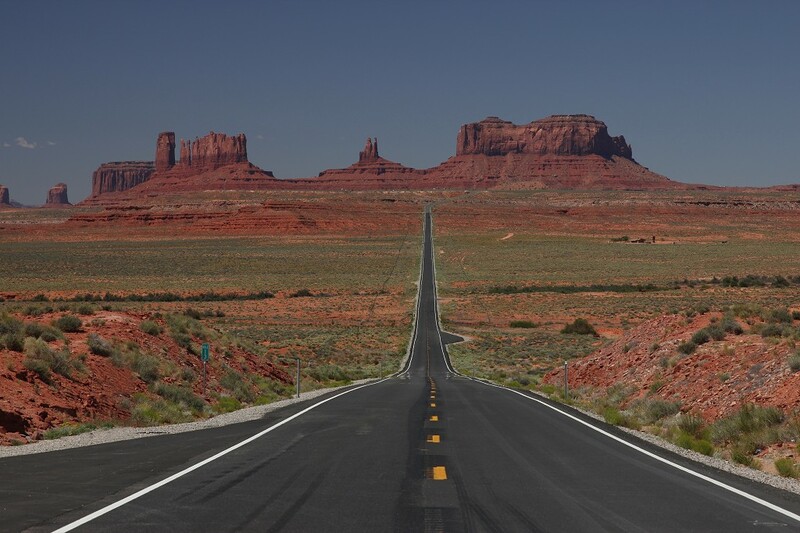 That was so different from Route 66 where I met all those lovely people. Even in the most lonesome parts of Route 66 it was not that lonesome as it was out here now. So what’s happening when you are in paradise but then a snake comes to bite all your illusions off? I went to the South Rim of Canyon the Chelly in the afternoon. A huge dark red gorge with green trees looking like marbles. Wow! There are still Natives living down there. Yeah, today in 2017! I could even spot a horse galloping at the bottom of the canyon. The shadow of a hawk was running across the rocks. Wind. The only thing you could hear was wind – and the flap of the bird’s wings. Magical. I guess if you try to scream at the top of the canyon it will take 100 years before the scream will come back to you – unheard. I raised my arms between heaven and earth. There is no picture on Google, in any travel guide or even on my camera that will be able to describe what was going on here. The next day I was off to Monument Valley and Natural Bridges Monument. I was not that impressed by the bridges. Too small and too far down in the canyon. 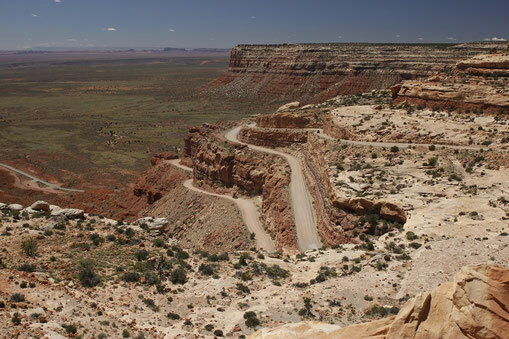 But there was a road leading to Natural Bridges Monument that was simply breathtaking. I was just driving towards a plateau when the asphalt turned into a dirt road. I was looking for a tunnel or a way through a valley. But the mountains just went up quite vertical. So I tried to drive further. And then I realized that the road was going all the way up. Oh my gosh. I followed the gravel road with 5 mph (I was not allowed to drive faster and it also would have been impossible). The view from the top of the plateau was simply incredible. I grinned brightly. 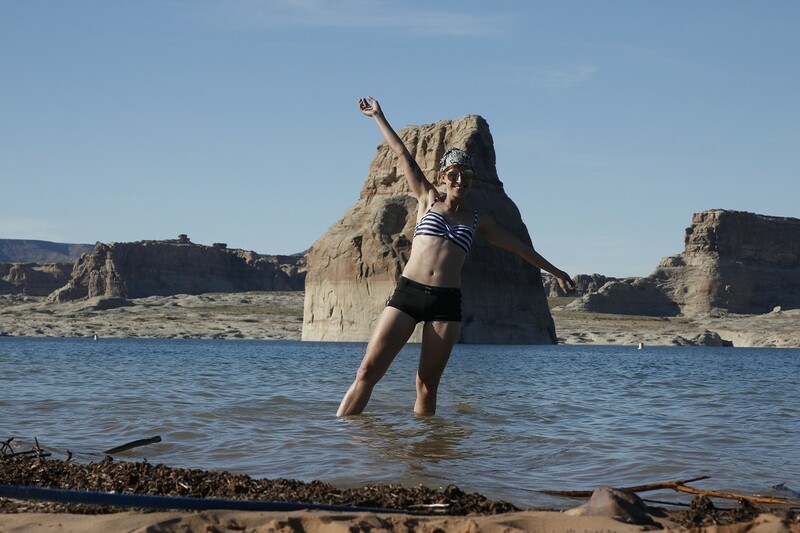 The next day I went to Lake Powell and had a blast out there in the cold blue water between rocks that looked like being on Mars. 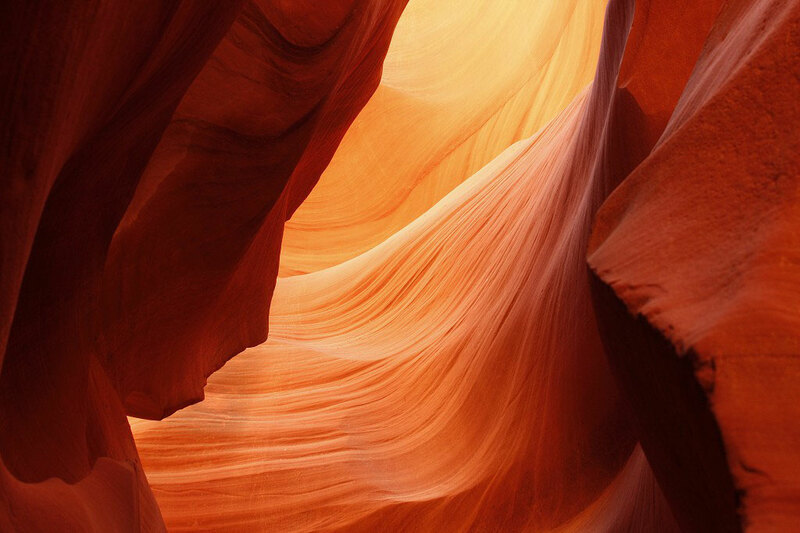 I was hiking the incredible Lower Antelope Canyon and overwhelming Horseshoe Bend, never minding the 104 degrees. 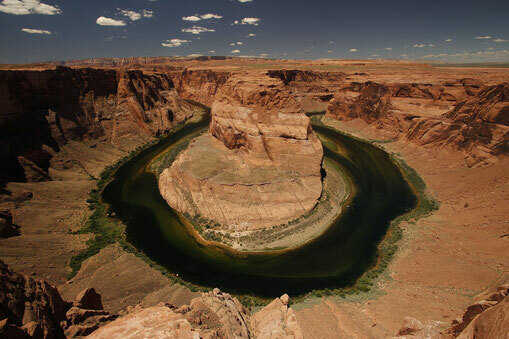 Horseshoe Bend is the place where Colorado River winds around 240 degree. It was simply like taking a look at the end of the world from the other side. Next stop was Bryce Canyon. I felt much better now. No panic attacks in the middle of the night anymore. No nightmares anymore about desert killing me by swallowing me or setting my skin on fire. I had no phone coverage for days now but I wasn’t missing it yet. I went down to the bottom of Bryce Canyon by hiking round about four miles. There are countless orange hoodoos out there. It’s unbelievable. Like someone arranged all his pens. 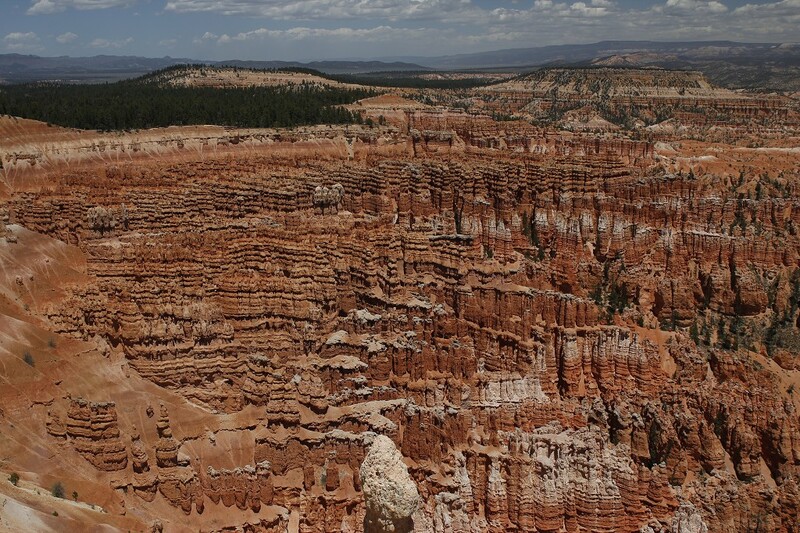 A tale tells that the hoodoos have been people who are petrified now. After Bryce Canyon I had my most spiritual experience ever on this trip. 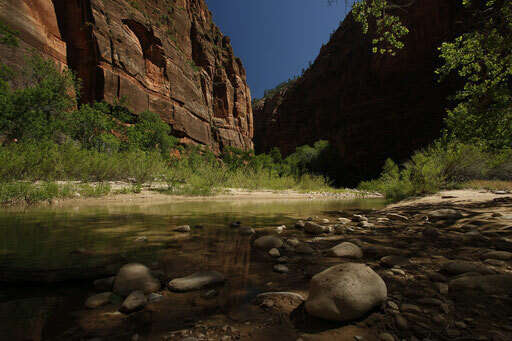 It was at Zion National Park. There we go with the yellow butterfly and the green river. After driving trough endless rocks and desert this paradise with trees, birds and the flowing water was pure beauty to my eyes. I was standing there with my feet in the ice-cold river listening to the birds. I felt every pebble stone and every blade of grass reflecting deep in my soul. I’m not religious but I felt right now that everything has a soul. Every rock and every leave. It was incredible awesome. The Natives called this place “the sacred place” and now I could feel why. If there is a place where all the souls after death will go, then it must be Zion. It took my senses away. On my way back in the car I was crying. The desert was beaten. I won. This landscape took al lot from me. Maybe just to show me what I'm able to handle. And to show me that everything is just half the truth.